9.30am – 11am Drama for ages 4-7 years. 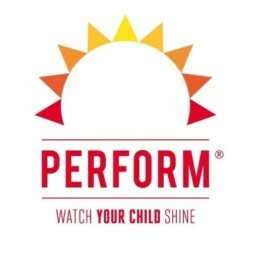 Perform will boost your child’s confidence, improve their concentration and give them a creative outlet to make friends and have fun. We have developed a unique curriculum using a mix of energetic games, catchy songs and funky dances to help bring out children’s true potential. All class materials are written by us and each term there’s a different theme to keep young imaginations buzzing. 11.15am – 12.45pm Drama for ages 7-12 years. Our classes for 7-12 year olds are designed to build confidence and teach life skills that will be invaluable in future life. Each week, professionally trained actors, directors and choreographers work with the children rehearsing songs, dances and scenes from a specially written show. They help them learn new skills and challenge them to do their very best in a supportive and fun environment. On the last day of term, they combine what they’ve done into an inspiring performance for family and friends. To book a FREE trial today contact 02072559120 or enquiries@perform.org.uk.